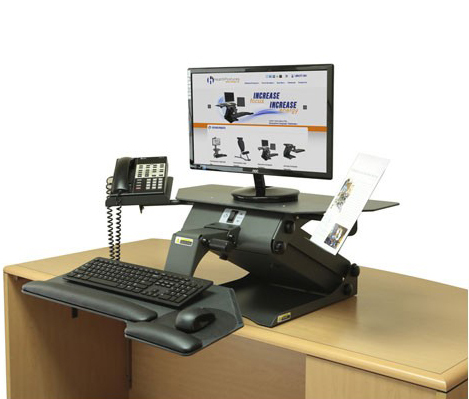 The TaskMate Executive is a high-quality sit to stand workstation that provides energy for a healthier way to work. Transform any surface into a personalized height adjustable computer workstation. 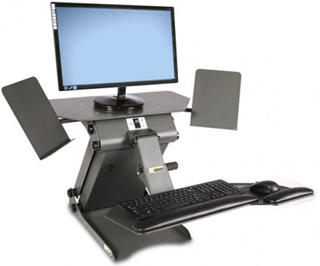 The TaskMate Exectutive is a complete sit to stand ergonomic solution for your office.